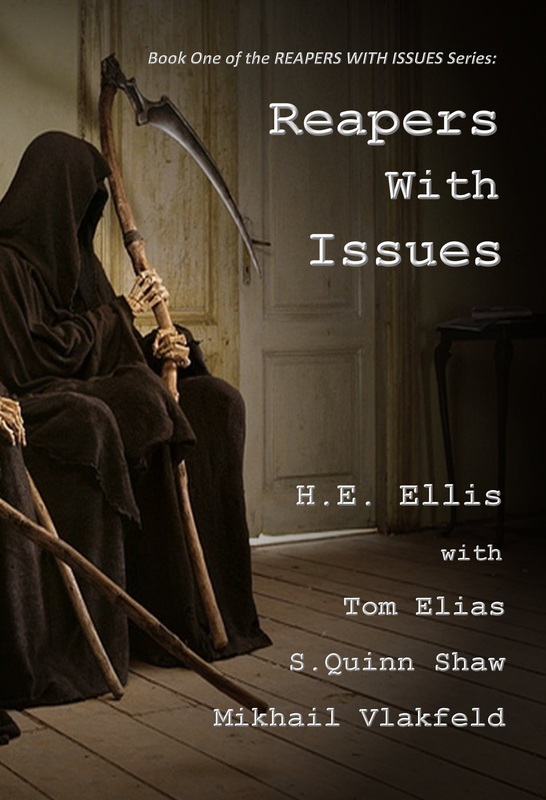 REAPERS WITH ISSUES is the first in a four book novella series that chronicles the Grim Reaper’s struggles in middle-management. REAPERS WITH ISSUES is meant to poke good-natured fun at the topics of Christianity, homosexuality, recreational drug abuse and office politics. If you are at all easily offended, we, the authors, will not be offended if you choose not to read our work. Please do not chuck hate bricks through our windows.